Ogden | Wheeler Machinery Co.
Wheeler Machinery Co. in Ogden, Utah, is your primary Cat® dealer in the state to provide new, used and rental equipment plus parts and services. Our professionals are here to give advice and create personalized solutions to help your company avoid failures, expand operational efficiency, enhance the bottom line and help you succeed. Heavy equipment for sale in Ogden, Utah, is a simple choice when it comes to Wheeler. We offer Cat machines, power solutions, attachments, air compressors and much more. If you are looking to heighten the power and versatility of your fleet, buying new is your best option with Caterpillar®. 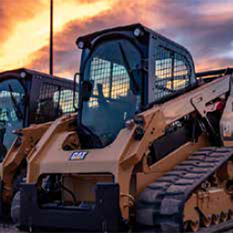 As one of the heavy equipment leaders in the world, Cat manufactures efficient, dependable and resilient engines that provide superior performance. Their machines will last for the long term under various environmental conditions. 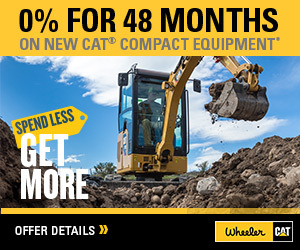 Wheeler has Cat-certified used machines when buying new isn’t the best fit for your business. Our pre-owned engines go through strict inspections reaching up to 140 checkpoints to ensure premium machine condition for any industry. Our agricultural equipment, attachments, heavy machinery and power systems come with extended coverage, equipment maintenance history and a manufacturer’s warranty. Trained Wheeler technicians maintain each machine with Genuine Cat parts and perform inspections with modern technology so you can experience high-performing equipment to boost your productivity. In the case where buying new or used isn’t the best move, investing in rental equipment from Wheeler grants you access to our full line of reliable, small and mid-sized Cat machines for specific projects or if an engine is experiencing repairs. Renting is also excellent if you want to test out equipment, if you need it for a short time or if you have limited storage space. We carry Cat and non-Cat machines for all industries that want to maximize production. 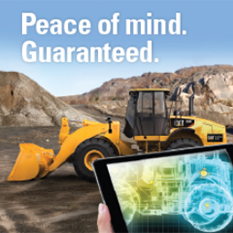 Our full-service rental gives you access to devices and attachments that our technicians maintain. Wheeler also offers emergency support when necessary. Equipped with more than 90 service trucks that have air compressors, overhead cranes, full tooling and essential diagnostic tools, Wheeler’s service department is locked and loaded to travel to your job site. We help you get running again with efficient and competitive engines to reduce downtime. Each truck also has remote access to Wheeler communicators and Caterpillar’s tech library. We even offer equipment transfer. Wheeler Machinery services range from scheduled and field services, machining and sandblasting to condition monitoring and fluid analysis and component rebuild and preventative maintenance. Our certified technicians service and repair engines and transmission for any make or model of machine for it to run at optimal levels. Wheeler supplies Cat equipment in Ogden, Utah, to create solutions for any challenge you may face. We build partnerships with our customers over time on a foundation of values and passion for service. Visit our Ogden location, which is close to Ultimate Indoor Soccer and up the street from Maverik Adventure’s First Stop. To learn more about our products and services, call 801-732-9100, contact us online or reach out to your local Wheeler sales representative.